A Valencia city break reveals to visitors the 21st-century clash between Valencia’s Gothic heart, its new contemporary architecture and modern museums. You’ll also find fun family beaches and bohemian bars close to Valencia’s hotels, as well as traditional Spanish restaurants and late-night clubbing. 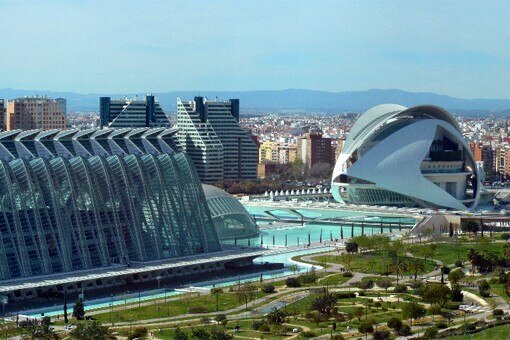 Spend a spring holiday in Valencia and celebrate the season. Indulge in the annual Fallas festival, bicycle through blooming gardens and join the first Spaniards on the Mediterranean beaches. Book a spring hotel in Valencia and soak up the sunshine. Whether you want a luxurious Mediterranean beach hotel in Valencia or a centuries-old inn in the historic centre, this guide will help you decide where to stay in Valencia. Take a short break to Valencia and become familiar with one of Spain’s most vibrant cities. Book a Valencia hotel and follow this inspiring guide to the city’s best sights.